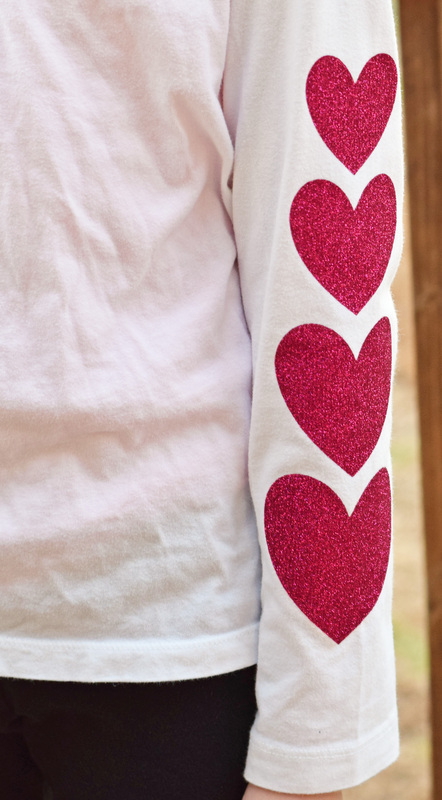 Add pretty detail to sleeves with a DIY Heart Patch, perfect for the elbow or the entire sleeve. This post contains affiliate links which, when purchased through, add no extra cost to the consumer but help support this site. I wish that I could say that today’s project was born from a desire to add sparkle to a plain shirt, but it comes from a much less glamorous need. My daughter has a plain white shirt that she wore with everything. She liked to wear it by itself or under jumpers or under short sleeve shirts that she really wanted to wear through the winter. And then she met a pizza with no napkins. Shirts sleeves work great as a napkin, right? The stain was large and impossible to completely remove. So we covered them up instead! First, measure the area where you will be placing the hearts. Jot this measurement down on paper. This is just to make sure that the hearts will fit well in the area where you would like to place them. Open Cricut Design Space. You are more than welcome to use the Heart Sleeve file that I have designed, found HERE. I designed this file for a size 8 long sleeve shirt. If you decide to use this file, size the hearts larger or smaller to fit the sleeve area with which you are working. 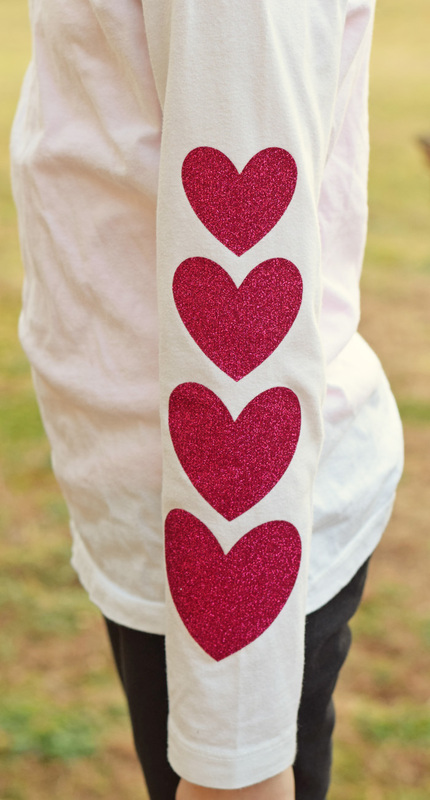 Of course, you may always design your own heart sleeve file or use only one heart to create a elbow patch. Cut the hearts with the iron-on vinyl on the StandardGrip cutting mat. Be sure to mirror the image and place the vinyl with the shiny liner side down. If you have never used iron-on vinyl before or if you need a refresher, check out my post on “How to Get Iron-on Vinyl Right the FIRST Time” before making the cut. After cutting the shape, weed the vinyl to remove any piece that is not a part of the heart. 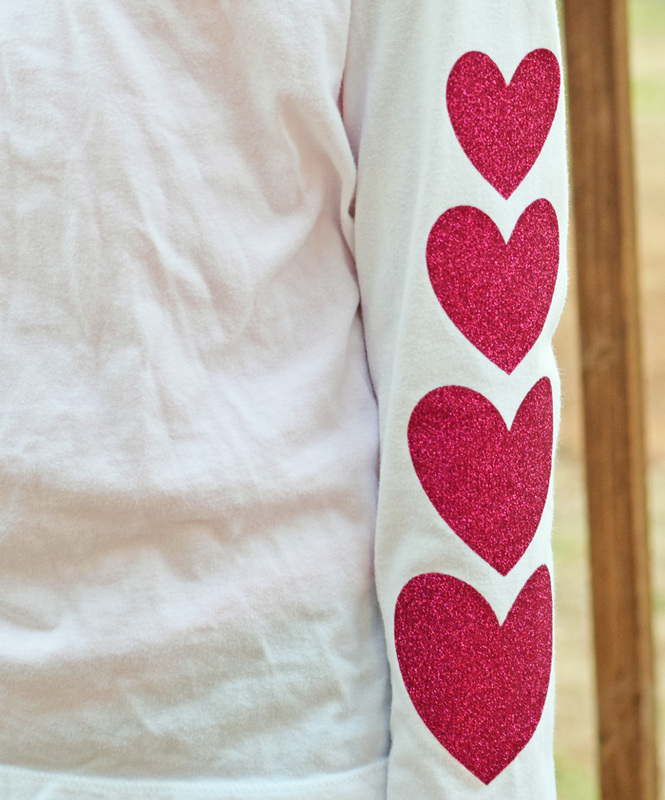 If you have an EasyPress or a heat press, adhere the hearts to the sleeve as you normally would a heat transfer vinyl project. If using an iron. Lay the shirt on a firm, heat proof surface. Do not place it on any surface that you do not want to ruin with the iron. Follow the instructions with the “How to Get Iron-on Vinyl Right the FIRST Time” post to adhere the vinyl to the shirt. This is a cute shirt for Valentine’s Day, but it also works the rest of the year, too. My daughter is happy because she can still wear her favorite shirt with this secret for covering up stains. 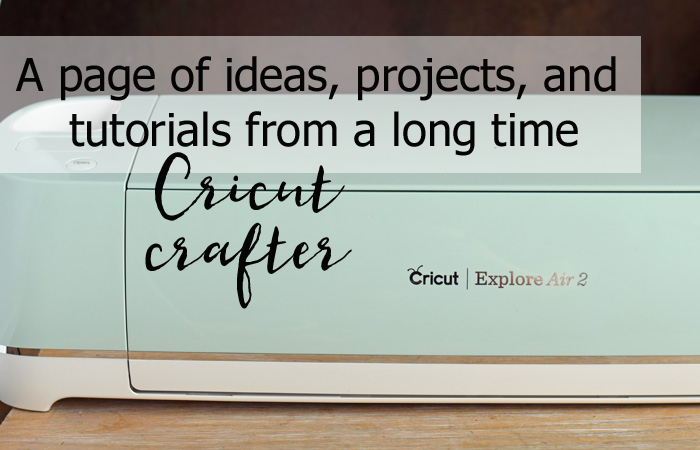 Are you looking for more Cricut related projects or tips? Be sure to check out my Cricut tutorial page! This is such a cute idea! I need to add cute elbow patches to some of my shirts! Excellent blog. I am using this elbow patch ideas. I like very much. Thanks for sharing and i am lucky i get the your blog. Great!